Those unnecessary Golgafrinchans? They settled here. I make vague flailing motions to defend against Teh Stoopid out there, so I don’t actually know who Tyler Cowen is. But nothing lasts forever. So now I know which are the jobs of the future. [Interviewer notes] In the book you also discuss a future artificial intelligence app that might recommend things in the social or romantic realm, like the optimal time to kiss someone on a date. [Mr. TC responds]: My guess is that will be half the people. The people who listen to the machines, they’re going to do better. They’ll have a better chance of being happily married. They’ll choose better dates. They’ll kiss at the right time or whatever it is the machine tells you. They’ll have better portfolios. They’ll have better diets. … So you don’t have to necessarily be great at reading the tea leaves once you’re attuned to the machine. And yet, a few paragraphs earlier, he said psychology was the only talent where people still excelled. Now, barely minutes further into the future by the end of the article, people are too stupid to know when to kiss without an app to tell them. Imagine if FP Mag is right. May God have mercy on our globe. The two space travellers show up on a ship, and the Captain explains what it’s all for. The Hitch­hiker’s Guide to the Galaxy has this to say about the planet of Gol­gafrin­cham: it is a planet with an an­cient and mys­te­ri­ous his­tory, rich in leg­end…. [A] de­scen­dant of one of these ec­cen­tric poets … in­vented the spu­ri­ous tales of im­pend­ing doom which en­abled the peo­ple of Gol­gafrin­cham to rid them­selves of an en­tire use­less third of their pop­u­la­tion. The other two-thirds stayed firmly at home and lived full, rich and happy lives until they were all sud­denly wiped out by a vir­u­lent dis­ease con­tracted from a dirty tele­phone. This is a notes-to-myself post so that the next time I need this info, I have some idea where to find it. Installs everything nicely. Reboot for new settings to take effect. But it still didn’t work. Solved here: http://forums.linuxmint.com/viewtopic.php?f=194&t=92360. In /etc/network/interfaces, comment out everything except “auto lo” and “iface lo inet loopback”. “allow eth0 hotplug” can also stay. (All the other wireless-related lines were to fix other *old* problems….) If you haven’t futzed with that file in the dim, forgotten past, you’ll probably be fine with just the debian wiki instructions. So did not make a /etc/X11/xorg.conf.d/20-nvidia.conf file as suggested. BUT left out “nvidia-kernel-dkms nvidia-glx” since those already installed. “build-essential” was already installed on my system. When done, execute nvidia-xconfig in terminal. Then reboot for settings to take effect. Some VGA resolution weirdness during bootup, but once booting is complete, looks fine. Debian wiki says “hal” package conflicts with power management and isn’t needed anyway. Uninstalled, but still doesn’t suspend. Then tried the following script of John Dias and brocktice to unload all usb modules and now it works. First ran lsmod (list modules) to see which usb drivers were active on my system (ehci_hcd and ohci_hcd). Did not unload any other modules or do anything else. Note that the output of /var/log/pm-suspend.log made me think that 99video and 98video-quirks was somehow at fault, because they were suspended/resumed right at the sleep/wake point. But no. Apparently not. You might as well be a cake of soap on the shelf at the store. The supermarket is “free” for the soap. The soap isn’t paying to be there, and you’re not paying for the web for the same reason. You’re the product. If you mattered at all you’d be getting a cut of the proceeds. Google made $60,000,000,000, 60 billion, sixty billion-with-a-b, last year. Eighty eight percent of that is estimated to be from advertising. You are the eyes that advertising is buying. Are you seeing royalties from Google for your essential role in this? How about from Dataium ($2 billion profit per year)? Or BlueKai, Acxiom, or Omniture (now part of Adobe)? How about Splunk? (Don’t you just love the cool, we-juggle-at-the-office names?) Or any of the hundred other hidden internet tracking companies all making profit off you? In an article about a company that wants to sell people vaults for their personal data, “Fatemeh Khatibloo of Forrester Research said consumers want to know when data about them is collected and stored and by whom, and how it is used.” The Wall Street Journal has a list of how many trackers are planted after visits to common web sites. Dozens. Sometimes hundreds. How many of them do you even know exist, let alone what they collect and how long they store it? What you want matters as much as what the cake of soap wants. I don’t know what to do either. Tactics are never my strong suit. All I really have is one long bellow to SMASH THE BASTARDS. Nobody can track you without your explicit consent, and only for the explicit purpose you agreed to. And when you want to revoke the permission, they have to expunge their databases. Yes, I know that’s so far from current reality as to be ridiculous. But that only speaks badly for current reality. It doesn’t change what’s true. 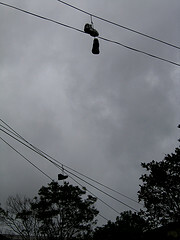 Shoes on a powerline; supposed to be the mark of drug pushers nearby. There’s excitement about the Chromebook Pixel. 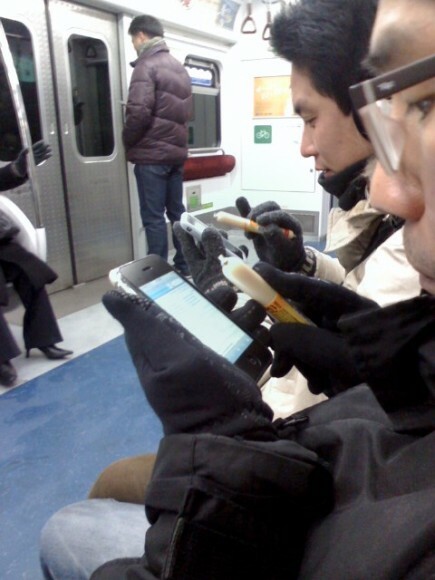 It has a good screen. It’s light. It’s Google. [T]he Chromebook Pixel comes with … 32 GB of space …, and if 32 GB isn’t enough room for you, the company also throws in 1 terabyte, or about 1,000 GB, of space through its Google Drive service. …[O]f course, you’ll need an Internet connection to access those files. You get the 1 TB of storage for only three years. After that, you’ll have to pay $50 a month to keep it. Did you hear that? $50 a month. $50 a month. $50 a month. Do you know how much a 1 TB hard drive costs right now? About $90. That’s for the whole thing. Not per month. Not even per year. Three years from now, they’ll probably be going for about $25. That might seem fine. You get your three free years, buy your cheap drive, and come out way ahead. Except that transfer speeds matter if you want to move all that stuff to your nice new drive. If after three years of uploading photos and video clips you had all of 100 gigabytes stored in the GOOG’s cloud, then at a 500Kb effective download speed it would take about 650 hours, or about one month, to download it all to your own drive. Calculate it for your own situation here. The US was supposed to have an average broadband speed of 6.7 mbps in early 2012. That’s 837Kb of data per second. My own service right now is supposed to be giving me over 1Mb per second, but that only happens occasionally. 500Kb is a good day. Evenings and weekends it can slow down to dialup modem speeds. That would, of course, make the downloading take that much longer. So, there you are, faced with babysitting a download for weeks or suddenly forking over $50 a month. How many people will go, “Oh crap. I better pay this month and figure out what to do about it next month”? Enough to make it a lucrative business model? You bet. Now can we start refusing to be cattle instead of customers? These services are “free” the same way the supermarket is free for the bar of soap. You’re the product. Of course it’s “free.” The real tell showing your place in the scheme of things is that nobody is offering you a cut of the (huge) profits. If you were an actual human being, you’d have a right to part of them for your contribution. But you have no rights. It’s all subsumed under property rights. Whoever is making money has the right to trample your privacy, copyrights, free speech, and whatever else suits their bottom line. You know what? That doesn’t work and can’t work because it ends in total absurdity. Some rights have to take precedence over others or they all become useless. Human rights have to come before property rights. If they don’t, I could kidnap people for a slave farm and there’d be nothing they could do about it because they’re my property, which is more important than anything else. And anybody else could do the same to me. There would be neither human rights nor property rights for anybody. Everything would be lost. If human rights come first, property rights are secure within their proper limited sphere. Religion is another example. Freedom of religion must be secondary to freedom of speech, movement, and basic human rights like self defense. If it isn’t, then my religion could be to kill your religion. There would be neither human rights nor freedom of religion for anybody. As I said, getting rights in the wrong order ends in absurdity. It ends in no rights, not even the one usurping the top spot. 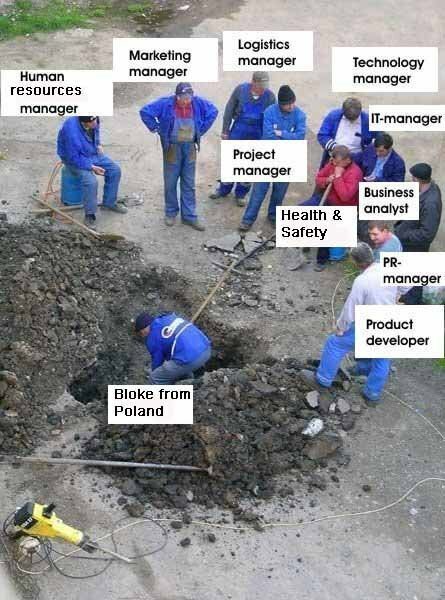 If we had a real government, instead of our captured kleptocracy, our rights to our own work would be clear in law, and we wouldn’t have to worry about losing control to some piker holding us up at a chokepoint. Instagram expropriating people’s cat pictures seems like a picayune thing to get worked up about. But it’s yet one more symptom of an inversion in the correct order of rights. They have no right to do that because money cannot cancel basic rights to your own work. There’s no law against corporations making money, certainly. That’s what they’re there for. But not at the price of trampling more important rights. And that’s not a small thing at all. So long as they’re this much fun. Related: Swarm of flying robots: I want. I am so fed up with marketers, I can’t tell you. What brought on this particular fit was some nonsense quoted on the BBC. The article is discussing a rule that’s gone into effect in the UK, requiring web sites to let users know about all the cookies they plan on storing and asking users’ permission to do it. Oh, really? Seems to me online sales grew from nothing to huge before all this tracking crap got under way. “To give you the very best experience”? “To give you the very best experience”?! Is the feel of all those cookies tracking me supposed to make me all warm and fuzzy and less alone in the world? They’re not talking about me, and they know it. The “you” having the “very best” experience is the advertiser paying the web site’s bills. …search engines are speakers. First, they sometimes convey information that the search engine company has itself prepared or compiled …. Second, they direct users to material created by others, …. Such reporting about others’ speech is itself constitutionally protected speech. Third, and most valuably, search engines select and sort the results in a way that is aimed at giving users what the search engine companies see as the most helpful and useful information. That’s what the search engines say they do. That is accepting their version of their actions without question. The most elementary detective principles suggest it’s dumb not to at least ask, “Who benefits?” Pretending it’s a given that the user benefits is either foolish, lazy, or propaganda, or all three. Search engines are private companies. Their first loyalty is to their own profit. They have to put effort into service to the users; it’s a cost. If other businesses are anything to go by, it will be minimized to the extent compatible with retaining enough users to make a profit. The profits come from ads. The first priority of search engines will be getting clicks on ads. There. That’s not even difficult or tedious to figure out. It’s about three steps in all. More important, it’s vitally relevant to how many free speech rights must be granted to search engines. If they’re in this to push the boundaries of human knowledge, why, then, give them every right there is. That would mean the least regulation for the search companies, which would suit them just fine. If they’re in this to push ads, then maybe we shouldn’t be quite so laissez-faire about allowing them to rank results however they please. They’d make less money. Is it any wonder they’re so publicly convinced they have only the interests of the users at heart? Is it stranger that very intelligent people swallow the bait, hook, line, and sinker, and then create erudite reasoning about constitutional law out of it? Big thanks to Wikipedia and Reddit for leading the charge. Of course, Congress has only put the crap in a drawer for a while, and plans to bring it out again for their paymasters as soon as they think they can get away with it. Joe Brockmeier says the real message should be that we need more and more consistent awareness of what Congress is up to. I say that they make it much too difficult on purpose. They don’t want oversight. It just gets in the way. Which leaves open the question of what we do next time they try to pull these stunts. And the next time. And the next time. And the time after that. We can’t keep on blacking out because then it would cease to be a protest and become a way of doing the “content” controllers work for them. Do I have any bright ideas on tactics? Of course not. I’m terrible at tactics. But we need something that hits the four large music producers, five Hollywood studios, four multinational record labels, six global publishers, and their henchmen in Congress where it hurts. As many of you already know, websites will be going dark tomorrow, Wednesday Jan. 18th, to protest the SOPA/PIPA bills in Congress. These bills supposedly protect intellectual property. In reality, they protect the profits of a few megacorporations at the price of, literally, damaging the internet irretrievably. They break domain name security (pdf). They enable competitors, malicious people, the government, indeed anyone, to shut down any site because they make site owners responsible for all infringement on a site. That means someone could leave a comment containing a copyright infringement, report the site, and the whole site would be shut down. No court orders are necessary. Good luck getting someone on the phone to appeal the decision. Actually, as of the last news I heard, SOPA had been removed indefinitely. Only the Senate version, PIPA, is currently on the active list, due to be voted on Jan. 24th. But many of us want to be sure that our concerns about these absurd bills are understood, that PIPA is also stopped, and that SOPA doesn’t re-emerge as soon as the House leadership thinks they can get away with it. The blackout is going ahead to demonstrate how the internet would look if sites were blocked willy nilly. I’ll see you again on Thursday because so far we still have our free, open, and unblocked internet and I can say that with confidence. If you’d like to keep it that way and you’re in the US, call or email your Congresscritters! Fools and their money are said to be soon parted, so Google must think that if they make fools of their customers, they’ll get the money. How else to explain their new Chrome OS laptop? If you buy the thing straight up, as a consumer, the cheapest one will be $349. That’s for a machine whose hardware equivalent can be had for around $170. It runs only Google applications on Google servers. That’s something you can do on any computer any time. Except that on a normal computer you can also run other software if you want. The “chromebooks” have wifi. The high end Samsung model, for $499, also has 3G (i.e. cellphone) connectivity. With a two year contract with Verizon, Slashdot says 100MB of data per month is included. That some 3.3 megabytes per day. The proud boast about the chromebooks is that they don’t access the Web, they are the Web. They’re cool and cloud-based and everything that’s done on them uses connection bandwidth — wifi at home, work, or the cafe hotspot, 3G otherwise. If all you did was use the machine for a while when away from wifi, if you worked on some photos, or played a game, or worked on a newsletter, or checked a news site with a few flash ads, you’d reach the limit pretty fast. So there’s yet another hole to pour money into. You could, of course, use some of those Google apps in offline mode. But, um, you can use any computer in “offline” mode, and you can do it cheaper, faster, and better. Google, after making a big deal out of using open source, is moving toward totally locking its chromebooks down. It’s working on tying the OS to the firmware. That prevents installation of another Linux-based OS on the chromebook. Depending how Google restricts the operating system, it could prevent you from installing anything at all on the computer. Note that Chrome is a (somewhat crippled) Linux operating system. If one Linux OS runs on a netbook, many other flavors will too. Something like Ubuntu, Linux Mint, and some others, are no scarier these days than Windows (or Chrome). Plus they let you run whatever software you want. To Google, that is obviously a bug, not a feature. Google is also offering a special for business and education. For low monthly payments — the cheapest is $20 per month for three years — you have a wonderful $170 netbook for $720. Such a deal! Assuming a $349 price, that’s only an effective annual interest rate of 27%. Hurry, before this never to be repeated offer ends! The only catch is that they’re selling in lots of ten or more, so individuals can’t get the deal. What’s supposed to make it attractive to institutions is that Google will provide support. Really? Has anyone ever seen Google support any of their products? Anyone? Nexus customers? Google is also making a big point of how you’ll have no viruses. That has nothing to do with Google. That’s (currently) a feature of Linux. Once it’s a bigger target, more crackers may try to attack it, but for now viruses are not a problem for Linux users. To make a LiveUSB (=bootable USB) use Unetbootin (Windows or Linux) or Startup Disk Creator (under the System, Administration menu in Ubuntu Linux). You’ll need a USB with at least 2GB of space. Downloading the file and installing it on a USB are as hard as the process gets. After that, plug the USB into the netbook, start up the machine, and test drive the new operating system. There’s a desktop icon if you want to install, which lets you follow on-screen instructions. You can put the new OS next to the old one (“dual boot”) or replace it. It takes about fifteen or twenty minutes. That’s it. You’re done. So don’t be suckered just because Google uses bright primary colors. They stopped being a bunch of nice guys who don’t wear ties long ago. Now they’re just guys who don’t wear ties. They’re after your money. Spend it on yourself instead of them. I feel like starting this by saying “Once upon a time” because it turned into a saga for me, a quest, and a struggle with dragons. Unfortunately, unlike the better class of fairy tales, the dragons are winning. So far. The first step is the content. It took me two years to write this particular book (Re-imagining Democracy). That was the easy part. Then I tried to find out how to turn it into an ebook. I keep seeing offhand comments on the web from authors who posted their opus in a matter of hours. It sounded like a minor matter. You are currently browsing the archives for the tech-computers-blogging category.